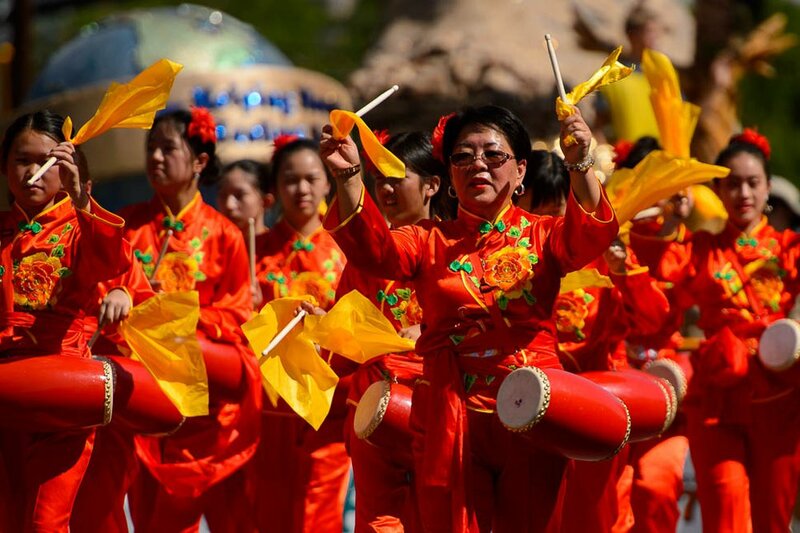 July 24th • Annual event attracts tens of thousands to downtown Salt Lake City. (Trent Nelson | The Salt Lake Tribune) The Days of '47 Parade in Salt Lake City, Tuesday July 24, 2018. (Trent Nelson | The Salt Lake Tribune) The Days of '47 Parade in Salt Lake City, Tuesday July 24, 2018. 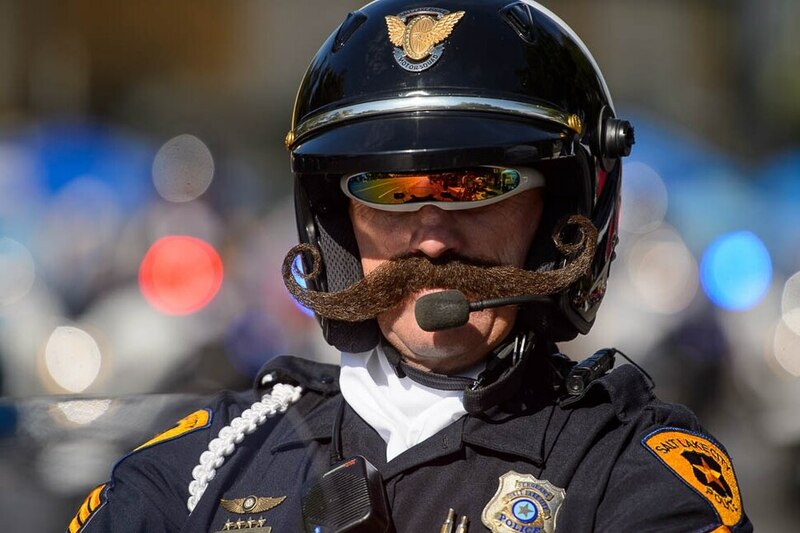 The Salt Lake Police Motor Squad. (Trent Nelson | The Salt Lake Tribune) The Days of '47 Parade in Salt Lake City, Tuesday July 24, 2018. 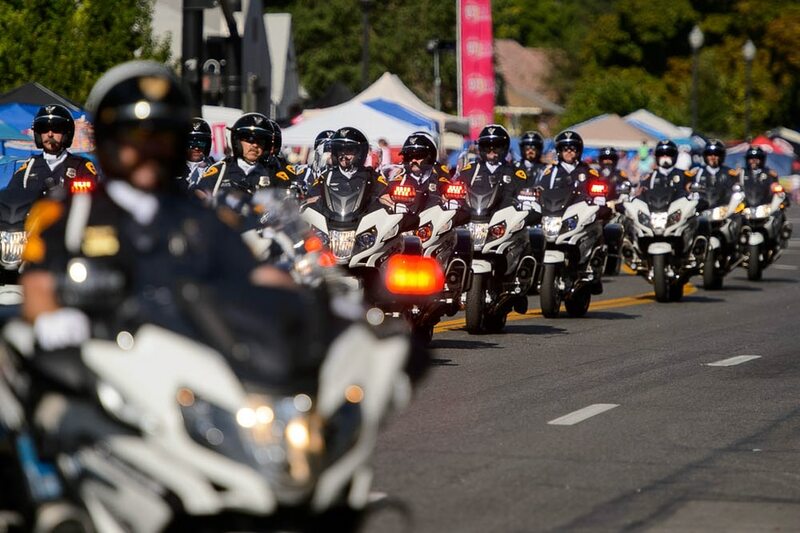 The Salt Lake Police Motor Squad. (Trent Nelson | The Salt Lake Tribune) The Days of '47 Parade in Salt Lake City, Tuesday July 24, 2018. (Trent Nelson | The Salt Lake Tribune) The Days of '47 Parade in Salt Lake City, Tuesday July 24, 2018. Captain Moroni carries the Title of Liberty, in a parade entry for reignmovie.com. (Trent Nelson | The Salt Lake Tribune) The Days of '47 Parade in Salt Lake City, Tuesday July 24, 2018. Park City High School's marching band. (Trent Nelson | The Salt Lake Tribune) The Days of '47 Parade in Salt Lake City, Tuesday July 24, 2018. Park City High School's marching band. (Trent Nelson | The Salt Lake Tribune) The Days of '47 Parade in Salt Lake City, Tuesday July 24, 2018. Pennywise the clown. (Trent Nelson | The Salt Lake Tribune) The Days of '47 Parade in Salt Lake City, Tuesday July 24, 2018. Utah Chinese Association. (Trent Nelson | The Salt Lake Tribune) The Days of '47 Parade in Salt Lake City, Tuesday July 24, 2018. Two BYU fans rush out to wave their flags in front of the University of Utah's float. (Trent Nelson | The Salt Lake Tribune) The Days of '47 Parade in Salt Lake City, Tuesday July 24, 2018. Days of '47 Royalty. (Trent Nelson | The Salt Lake Tribune) The Days of '47 Parade in Salt Lake City, Tuesday July 24, 2018. The Utah Pipe Band. (Trent Nelson | The Salt Lake Tribune) The Days of '47 Parade in Salt Lake City, Tuesday July 24, 2018. The float from Bluffdale. (Trent Nelson | The Salt Lake Tribune) The Days of '47 Parade in Salt Lake City, Tuesday July 24, 2018. Emery High School Spartan Band. (Trent Nelson | The Salt Lake Tribune) The Days of '47 Parade in Salt Lake City, Tuesday July 24, 2018. (Trent Nelson | The Salt Lake Tribune) The Days of '47 Parade in Salt Lake City, Tuesday July 24, 2018. (Trent Nelson | The Salt Lake Tribune) The Days of '47 Parade in Salt Lake City, Tuesday July 24, 2018. Volunteers carry a large flag. (Trent Nelson | The Salt Lake Tribune) The Days of '47 Parade in Salt Lake City, Tuesday July 24, 2018. Utah Chinese Association. Brittany Bremer really wanted to attend the Days of ’47 Parade. Even though she had to walk there on crutches after undergoing surgery on her foot. Even though she’s pregnant. Even though temperatures on Tuesday soared into the 90s. But the Florida native, her husband and two young children weren't going to miss the parade. “When we first moved to Utah, without any family or anybody we knew, a lot of people in the community really took us in. And I feel like this is a tribute to that community that began with the pioneers and still continues today,” Bremer said. After spending two years in Arizona, the Bremers recently returned to Utah. And they drove from their home in Kaysville to see the Salt Lake parade. (Trent Nelson | The Salt Lake Tribune) The Days of '47 Parade in Salt Lake City, Tuesday July 24, 2018. Utah Chinese Association. 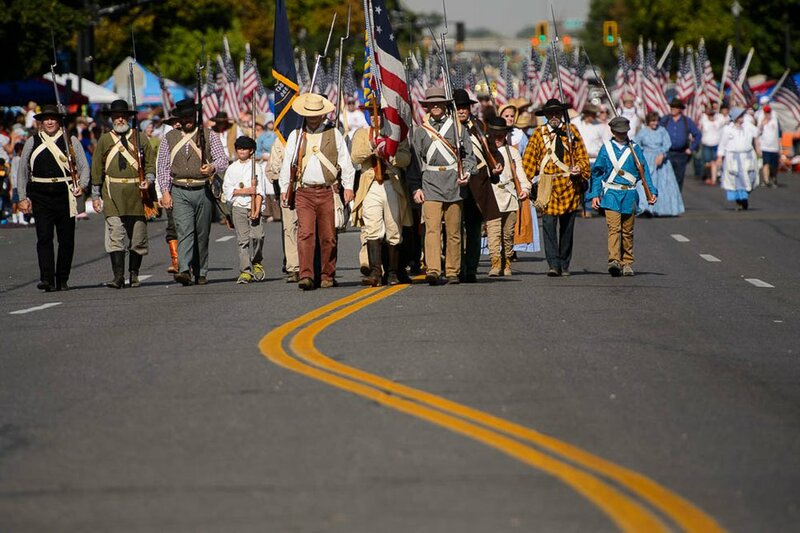 They were just four of the tens of thousands who lined the parade route Tuesday morning, braving the heat to get a glimpse of the bands, floats, horses, antique cars, motorcycles and everything that goes into commemorating the arrival of the Mormon pioneers in the Salt Lake Valley in 1847. 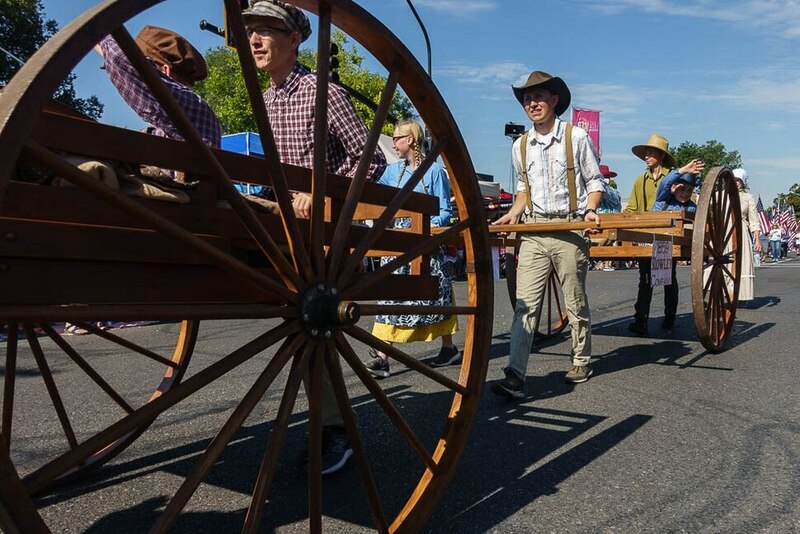 “I like the bands, but there's not enough of them,” said Salt Laker Bill Loizeaux, who said he's been to a lot of Pioneer Day parades in Salt Lake City. Enough to know where to station himself, out of the sun. “I'm losing the shade here. I may have to move my base of operation,” he said with a smile. Cherise Marchant was also clearly committed to seeing the parade — and from the front row. She and about 20 members of her extended family spent spent two nights camping out just west of 500 East on 900 South. At least they didn’t have far to carry their tent and other supplies. (Trent Nelson | The Salt Lake Tribune) The Days of '47 Parade in Salt Lake City, Tuesday July 24, 2018. 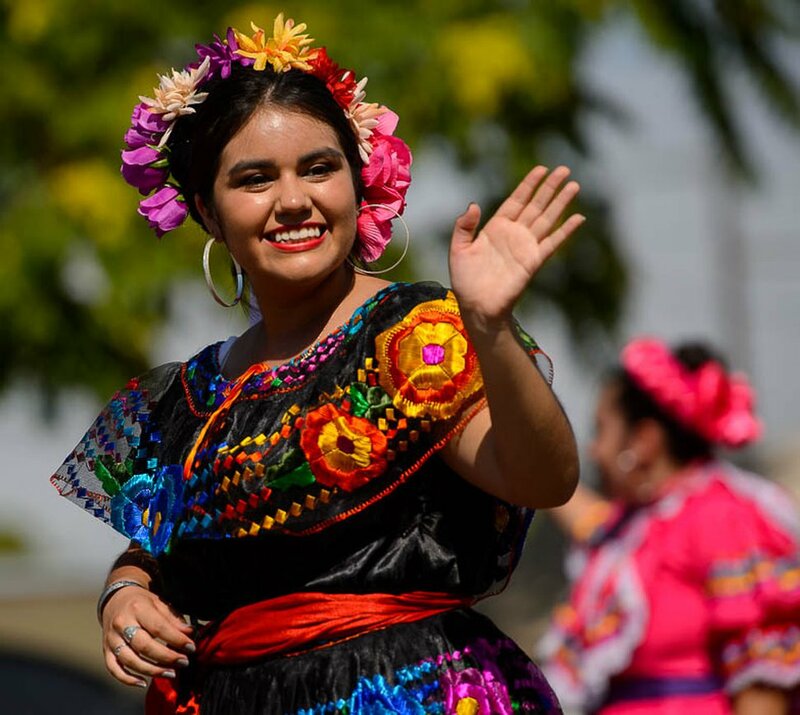 Her family did have unobstructed views of the parade, with trees to protect them from the sun. But getting there two days early wasn’t absolutely necessary — about 20 feet away sat Bre Wihongi, who drove up from Lehi to attend the Salt Lake parade for the first time. Wilhongi got there at 9 a.m. and found a great spot in the shade. And the thought of camping out to save a spot made her smile. “We're excited for the parade, but that's a little crazy,” she said with a laugh. What really seemed crazy was the early-arrival campers who seemingly slept through the entire parade in their tents. The scene was almost like something Normal Rockwell would have painted, if he was still around. Babies abounded, and dogs were everywhere. Preteen boys were throwing those little, popping firecrackers at each others' feet as the smell of sunscreen filled the air. And it was a multicultural crowd speaking multiple languages and displaying multiple allegiances. There were both BYU and Utah awnings and lawn chairs — sometimes intermixed — with the occasional oddity, including a bright orange Tennessee Volunteers awning. And there were parents and children sounding like parents and children everywhere. “Do we have an umbrella, by any chance?” a teenage girl asked her mother. One middle-aged man with a megaphone was providing a running commentary for other paradegoers near him, whether they wanted it or not. He fancied himself a comedian, and he thought bellowing, “Let’s hear it for the pooper scoopers!” was particularly amusing every time he said it after the horses and their support crew passed by. It could have been anywhere in America had this been the Fourth of July. But on July 24, it's distinctive to the Beehive State.